A two-hour fundraising extravaganza for the BBC Wildlife Fund at London Zoo, presented by Springwatch's Kate Humble, Chris Packham and Martin Hughes-Games. 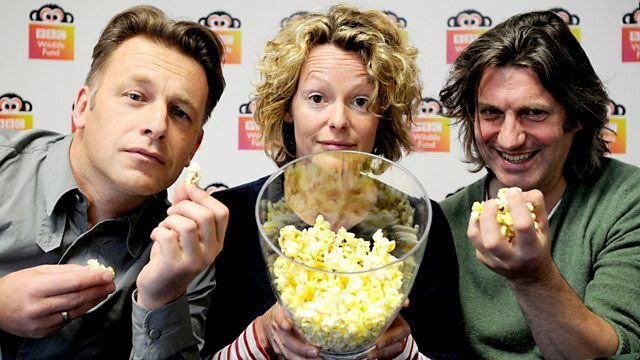 From London Zoo, the Springwatch team of Kate Humble, Chris Packham and Martin Hughes-Games present a two-hour fundraising extravaganza in aid of the BBC Wildlife Fund. With contributions from Graham Norton and David Attenborough, the programme also includes a series of captivating reports from around the globe where the fund has provided money for a series of distinctive conservation programmes to protect iconic animals including mountain gorillas, tigers, elephants and wolves. BBC iPlayer users: please note that the Red Button service is closed. Find out more at bbc.co.uk/wild.